Here are some of the things our customers are saying about how Polar Shades Sun Control Products have improved their life here in Las Vegas. If you would like to share your comments about your experience with Polar Shade, please click here and leave us a message with your feedback. I’d like to praise Philip’s crew’s professionalism and expertise. Thank you guys for another job well done! We are very happy with the way they look, they made a huge different in our yard. your guys were very professional and polite. 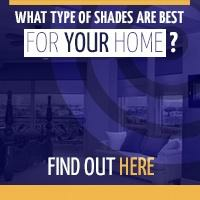 I will surely recommend polar shades to our family, friends and neighbors. Alfonso is a great guy. I don’t normally give reviews but he really is an excellent representative for your company. Yes the new polar shades is just what we wanted. Your guy’s were fantastic. They came at the scheduled time and installed the screen without any problem. Your customer service is excellent. It looks great! Really happy with it. Thank you. They are amazing so far. We all love them! Thank you! Thank you so much for all you did. Your service and attention to detail is outstanding!! I will not hesitate to refer you to my co-workers in property management. Polar Shades, Inc. has been just great. The salesman has been good and everything has gone well so far. They did the blinds and installed them for a reasonable price. If I need blinds once more, I wouldn’t hesitate to use them again. 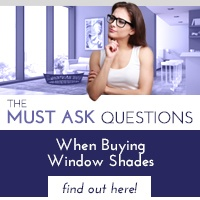 Also, if someone needed blinds, I wouldn’t hesitate to tell them about Polar Shades, Inc. I used Polar Shades, Inc for the first time, and it was great! They knew what they were doing, and they checked to make sure everything was good. I was really happy with them, and I would definitely recommend them! I contacted your company last week to schedule a service call to troubleshoot an issue with a Polar Shade product installed at one of our properties. We scheduled an appointment for yesterday and your crew arrived within the window they said they would. The two man crew were very polite and courteous and started to troubleshoot the issue. When they realized the ladder they had to get into the attic was too long, they called in and had another tech come over with the appropriate ladder. That tech was Matt H. He then proceeded to get in the attic and troubleshoot the issue with his fellow tech. They found the problem and made the repair. Matt explained what they did and we discussed your company as we need some additional work done on some other properties. They confirmed that the repair worked, gave me an invoice and were on their way. I returned to the property this morning and found out from the homeowner that the master bedroom was cold and asked me if your companies repairs could have anything to do with the issue. I said it could as the shade they were working on was wired into the outlet at the furnace. Even though I have an HVAC background and could have got in the attic and figured out what the problem was I decided to call your office first. I mentioned the issue and that I would be more than happy to check things out. Without hesitation your CSR asked me to hold for a minute, contacted Matt and told me that he would be here by 10:00 a.m. and that there would be no charge. At the time it was 8:00 a.m. At approximately 9:00 a.m. Matt arrived and sincerely apologized for the problem. He hopped in the attic and simply had not remembered to plug the heater back in. He plugged it in, it fired up and that was that. Matt again apologized and thanked me for the opportunity. Our company deals with contractors every day and I want you to know that I was very happy with how your company handled this issue. Most companies would have chosen a different way to not handle the issue. Your company really stepped up and from the CSR that handled the call to Matt making the repair, they all did a great job. We got a double door retractable screen installed this morning. I can’t remember the gentleman’s name that installed it, but he was so professional, friendly, and he got right to work. It was done very well! I am a member of Angie’s List and I went on there today and created a “listing” for you guys, and gave you all wonderful reviews! So I hope you keep up the good work. So pleased with the professional you sent today. It was painless and easy to do for him. Thank you again! I just would like to comment on the service I received. I called to have my screen door repaired and the next available appointment was weeks away. After giving your appointment setter a bit of an attitude she kindly found time for me that was more reasonable. A thank you to her for still extending good customer service after I told her “that doesn’t work for me” (and an apology for my attitude). Today Aaron came out to fix my screen door. He was nice, professional and was in and out in a flash and my door is good as new! Thank you! I just bought one of the units at Panorama Towers with your shades in it. Tad and Ishmael came out to replace batteries and adjust some of his shades. I want to praise the 2 of them. They were very professional and helpful. I am very pleased with the work they did. They arrived in a timely manner and completed the work promptly. do and are real good at it. The experience we had with Polar Shades was top notch from the time we contacted them all the way through installation. We called for an appointment for a measurement and estimate, and Catherine scheduled the appointment the same week we called. Catherine came right on time, and presented very thoroughly all our choices of screens, trim, controls. etc. She went outside and measured, and then we all sat down to decide exactly what we wanted. She was completely professional and very knowledgeable. There was not one question she could not answer. 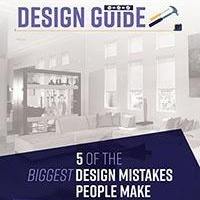 Since I had already been through the estimate process with 2 other companies and was not satisfied either with their product, their ability to supply specific answers, or the estimated cost—when Catherine arrived, I had already made a list of questions I needed answered. I was amazed—by the time she went through all the information, she had answered every single question I had listed—I didn’t even have to ask any more. None of the other companies or representatives gave as thorough a presentation or showed an ability to cover everything you would want to know before choosing their company in such a concise presentation. The estimate was very reasonable, and we decided to go with Polar Shades that very meeting. We paid our 1/2 down and scheduled the installation. One of the special services Polar Shades provided was that Catherine took care of all the picture taking, forms, and presentation to our HOA to get approval for our adding the drop shades. She attended the HOA meeting for us. She appeared at the door before the installation with our approval from the HOA, and all we had to do was sign. What a great Extra! A few days before the installation, Catherine called and said her boss had upgraded the screens to Elite because of the width of each screen and because of the wind we experience here–another instance that showed this company is very concerned about their customers and willing to go the extra mile to be sure the customer is satisfied with their product for a long time. On installation day, Catherine made a trip to our home to give us the HOA approval, and the installers arrived right on time, did their work in a timely manner, showed us how to operate the controls and left. They cleaned up any material they had left and made sure we had no further questions before they left. I have to say in the 5 years we have owned our home, and in all the improvements we have made, Polar Shades was the easiest to work with. Everyone we dealt with from the owner, to the representative Catherine, to the installers were just perfectly professional, always on time, and the icing on the cake-always seemed eager to go the extra mile to be sure we were satisfied. 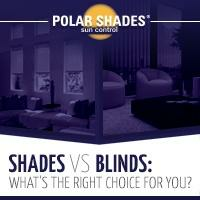 If you need solar screens or outside drop shades like we ordered, I would highly recommend Polar Shades. They are the best!